Since 2009, I have worked as a professional marketer to help businesses of all kinds drive more traffic to their business. In recent years, I have specialized in working with enterprise (1M+ pages) websites, specifically marketplaces and content websites, to prioritize needed fixes and provide strategic guidance to their directors of marketing, head of SEO, and/or product teams. I regularly work directly with developers to get changes implemented correctly and do my best work when I am integrated deeply with the teams. I work with enterprise websites (that have their own marketing/product/engineering/growth) teams to help them grow. If you are looking for just an audit, I am not your guy (and can find you that person through my company Credo). I also do not do active content creation or link building for clients. Essentially, think of me as your VP/Director of SEO to help you set your strategy, start your SEO program in place with the teams you have in place, and eventually we will hire you an inhouse head of SEO to take the reins and own SEO at your company. In 2017, I made one consulting client over $8,000,000 from our SEO work. Another client I’ve made an additional 75% in revenue (real dollar value $2.9 million) with organic growth of 35% (an additional 4 million visitors). These are typical results that I get for clients. If you are looking for an ongoing strategic mind and partner to provide real business value and grow your business, let’s chat. Retainers start at $2,000/month and I work with primarily with technology companies with product and engineering teams who do not have an inhouse SEO director. In this package, we have a weekly hour-long phone call to talk through your SEO challenges. From technical SEO and content questions to team structures, I’ve been through it all and can help you head in the right direction. 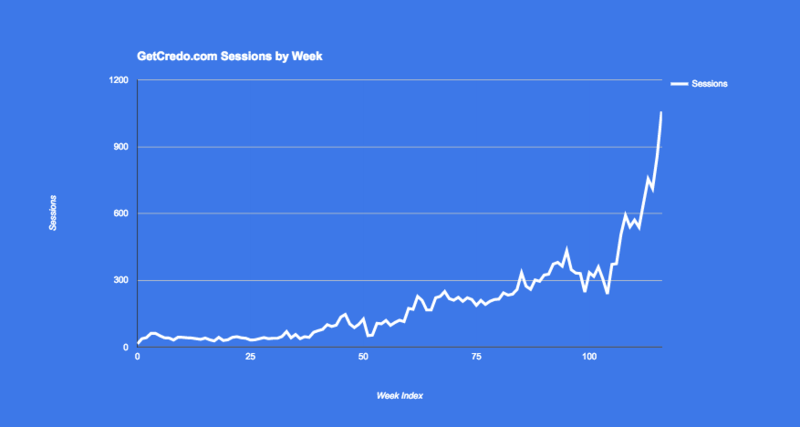 I’ve worked with amazing international brands on this level where they’ve seen great growth and been able to get the buy-in to build their teams internally to tackle SEO properly. This package can also start with a larger discovery/consulting project onsite to kickstart our time together before continuing with the retainer. In this package, we have a bi-weekly (every two weeks) hour-long phone call to talk through your SEO challenges. From technical SEO and content questions to team structures, I’ve been through it all and can help you head in the right direction. 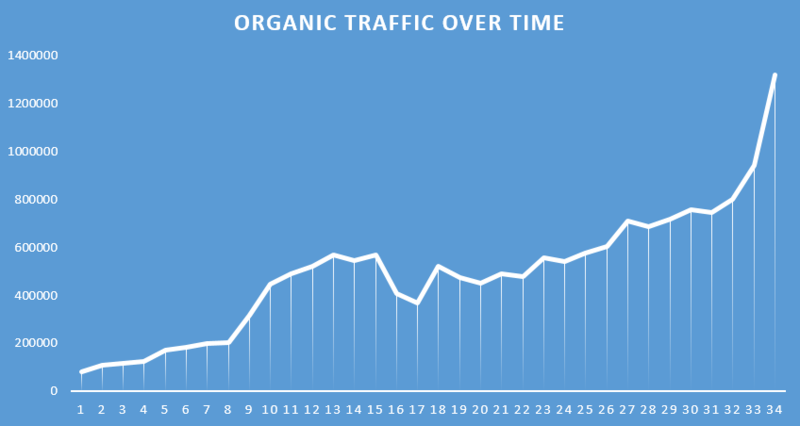 If you need pay-by-the-hour SEO strategy advice, I do that through Clarity.fm where I have a 4.9 rating over 40+ calls. I have helped sites on their most pressing SEO issues through an hour phone call, which returns many times its price in value. Since 2009 I have been working with websites and brands to build their online presence. I started my career building links for SEO, then over the years branched out from just SEO into the other digital marketing channels as well, including email marketing, content marketing, PR, and more. I’ve built and led marketing teams at nationally-known brands while also helping startups get traction with their product. Some of the brands I have worked with are HotPads.com, Trulia.com, IHG, Travelex, and Adopted.com. Currently I am an SEO and growth marketing consultant for hire. As of December 2016 I am based in Denver Colorado, but will travel as needed. I’m currently working as a consultant to agencies to help them grow, helping different startups get traction, and always working with established brands as a high level consultant and advisor to help them make sure their efforts are focused in the right areas. Here is an example of one travel site I worked on. 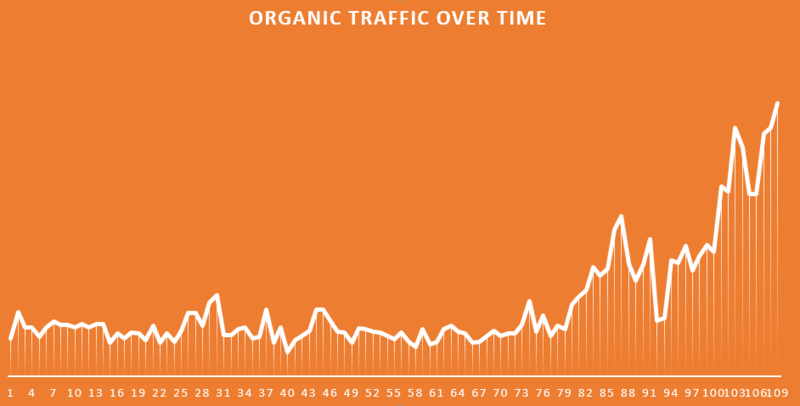 Here is another traffic chart, this time of my own site. Organic work started around week 40. If you are interested in ongoing consulting, contact me and we’ll chat.